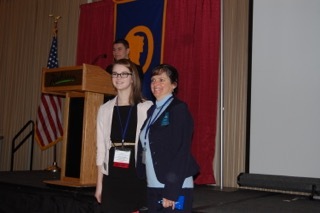 CBNA senior Brittany Guillemette with FBLA advisor Dr. JoAnn Zylak at the recent NH FBLA state conference. Sixteen members of Coe-Brown Northwood Academy’s Chapter of Future Business Leaders of America, along with their advisor Dr. JoAnn Zylak, attended the FBLA State Leadership Conference held on March 24 & 25 at the Radisson Hotel in Manchester, NH. The students competed in five chapter competitions and 16 individual or team events. Senior Brittany Guillemette won the Who’s Who in FBLA award and placed second in the team competition for Business Ethics along with Nicole Beaupre and Meghan Percy. These three students not only won medals for this competition, but also earned scholarships to SNHU. In chapter competitions, the CBNA chapter won first place in the largest increase in membership for NH (attributed to Brittany and all past members for their recruitment efforts), an Honorary Chapter award for achieving points for various activities (attributed to all the officers and members), second place in the Go Green Officer Project (with special thanks to Megan Elwell, Tayla George, Ambar Mercedes, Alexander Mercedes, Amaya Newport, and Aiden Ahern), and the NH FBLA State Chairperson’s Award for participation in ALL state-wide projects throughout the school year which included Green Schools, Red Cross Blood Drive, Make A Wish, Revealing Invisible Illnesses, and Save the Animals programs, along with tab collection for David’s House and Walking for a Cure for Multiple Sclerosis. Congratulations to all the members and officers. So how can you help? The CBNA FBLA Chapter is always looking for more connections with local businesses and seeking more professional memberships. Community members are asked to bring in their tabs (from tops of cans) which are recycled at the end of the school year with proceeds donated to David’s House. You may drop off your collection of can tabs at the CBNA main office for our local FBLA chapter. The chapter will be walking for MS in Manchester on April 17, as they have done for the past 18 years, and are looking for sponsors to help find a cure for this debilitating disease. Please forward all donations to Dr. Zylak at CBNA before April 15 and with everyone’s help, we can make this disease disappear! 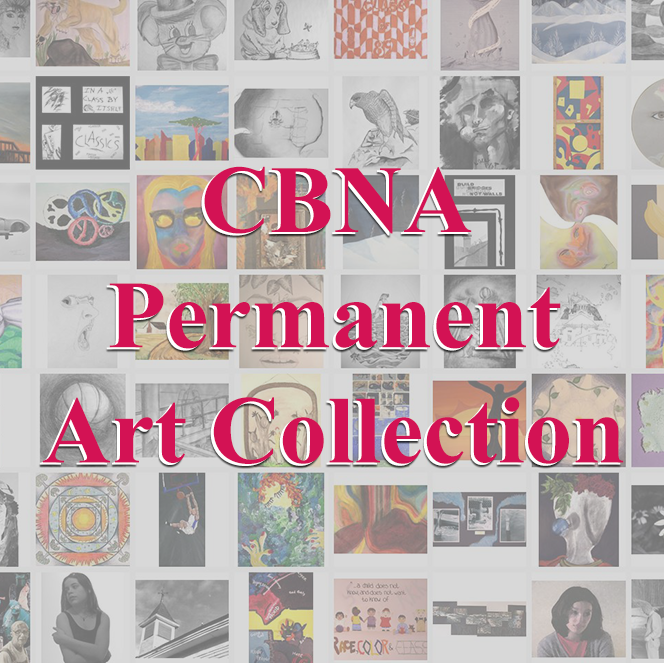 Contact Dr. Zylak at CBNA for more information about these meaningful and charitable activities.